You know what? I love exploring the Triangle to find hidden gems and one thing I’ve learned over the years is to never underestimate Cary. 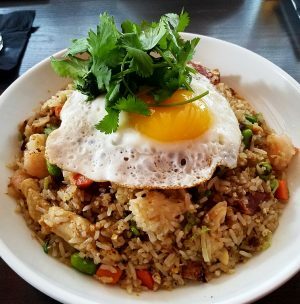 While it has its fair share of chain restaurants and bland dining options, it also has pockets of great ethnic eats, full of flavor and reasonably priced. 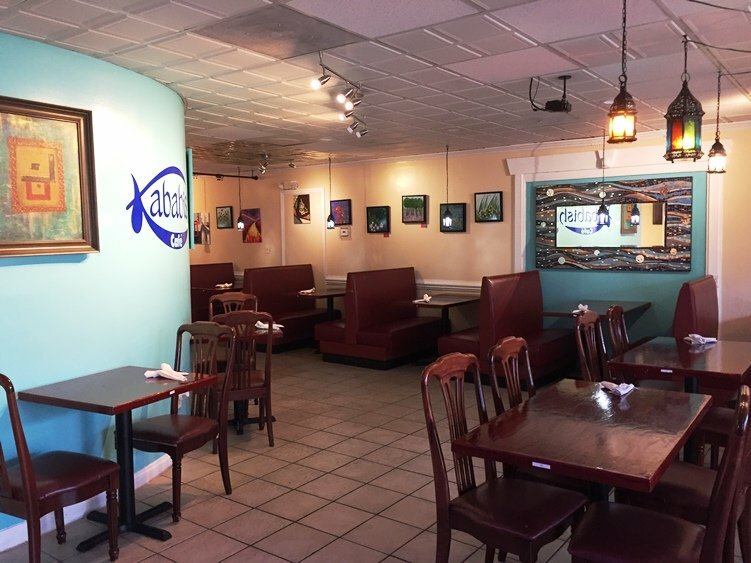 I recently came upon one of these Cary hidden gems when I stumbled upon Kababish Cafe online. 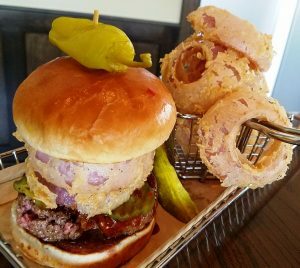 The Yelp reviews looked great so I just had to wait for a clear spot on my lunch schedule to visit and thankfully it came quickly on a warm Friday afternoon! 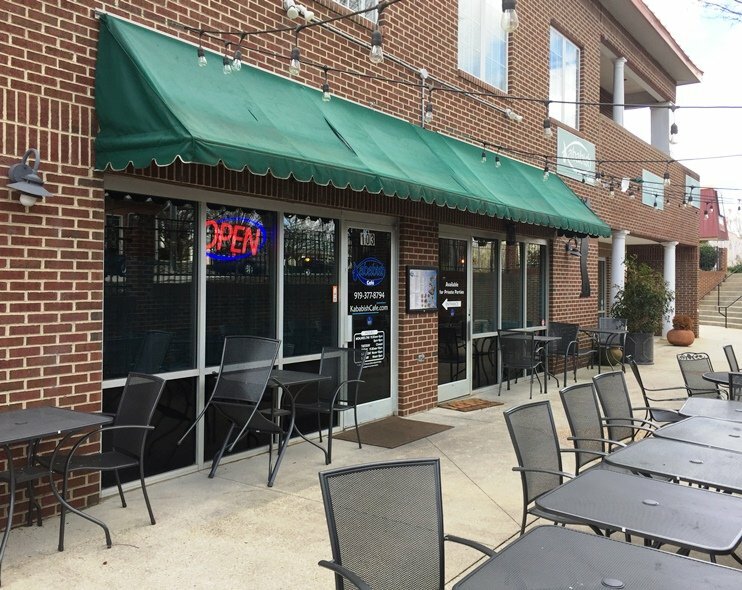 Kababish Cafe is conveniently located right off of Harrison Avenue in Cary just south of town hall in a slightly sunken plaza so you’ll have to keep your eyes peeled for their sign! There’s free parking behind the plaza. Once parked, head on over to the patio area and green awning. I poked my head into Kababish not sure what to expect and it’s all a pleasant little surprise. The neat little space consists of two dining rooms and classic jazz (Coltrane) is playing overhead. The first dining room has LED lights lit overhead giving it a blue glow while the main dining room is brighter and more traditionally lit. A handful of folks are inside, enjoying their lunch eats! I’m sat down at a booth in the blue room and handed a menu along with some lunch specials. 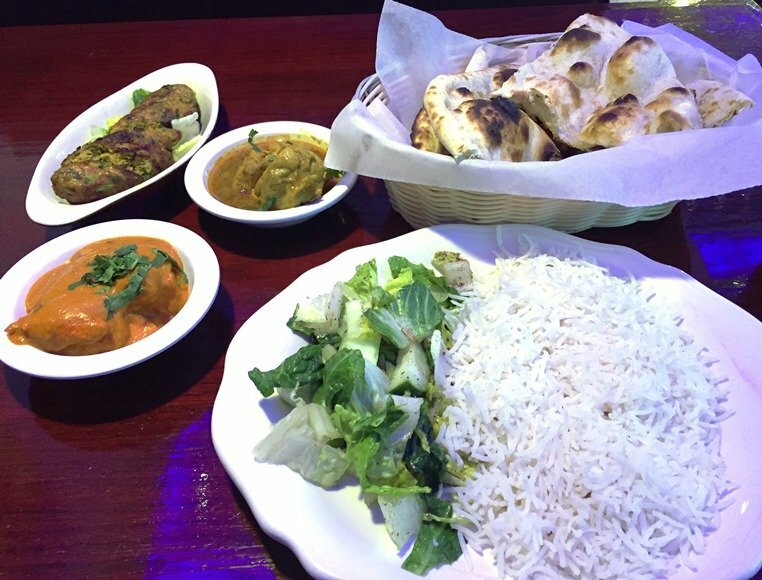 Kababish Cafe does lunch specials with an appetizer, naan, rice, two lunch dishes and dessert, similar to a thali plate for $9 to $12 (vegetarian, non-vegetarian, seafood and kebab), sounds good to me! But of course I can’t resist adding on a kebab for good measure. 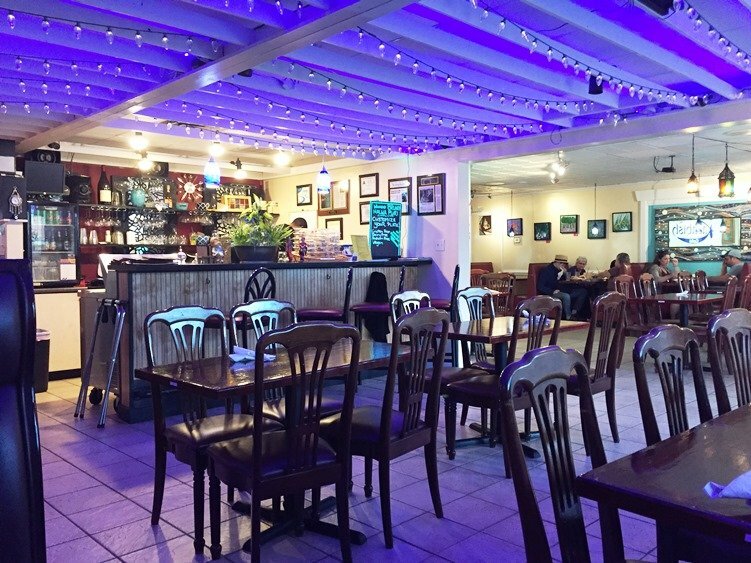 Note that while Kababish Cafe has the feel of a more casual eatery, the service here is excellent and warm, one of the benefits of a family-run eatery. 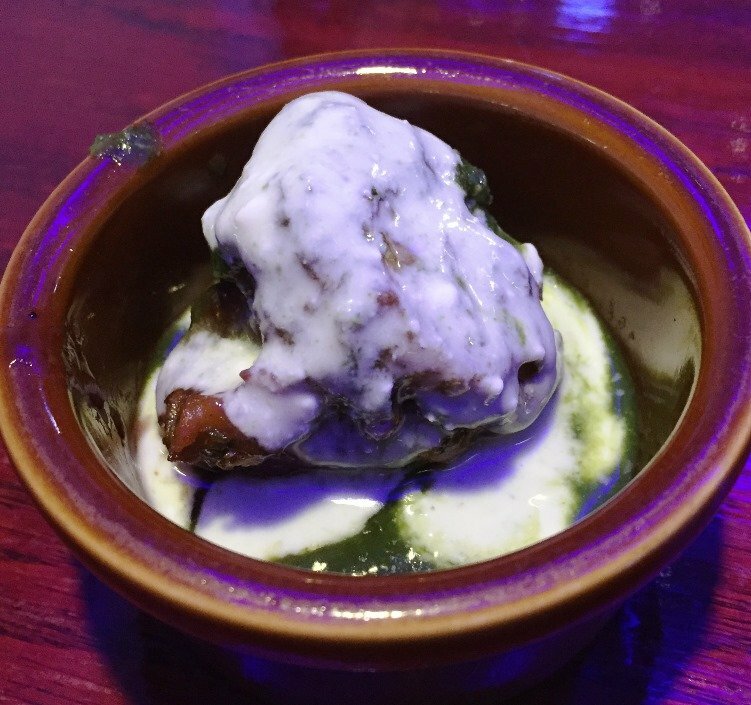 I’m immediately started off with an onion pakora which is different than what I usually get. It’s served with a bit of cream and cilantro sauce on top giving it a different flavor and texture profile, yum. It’s just one of the little twists that Kababish Cafe delivers, we’re off to a good start! Next comes my main meal and it looks like a Pakistani feast! A heaping plate of basmati rice with salad, basket of naan, two portions of butter chicken and korma chicken along with my kebabs, wow. I go to work on the carbs, the rice here is perfectly cooked with a bit of spicing and the naan is WON-derful! Perfectly charred and while there was no butter/oil on it, perfectly tender. 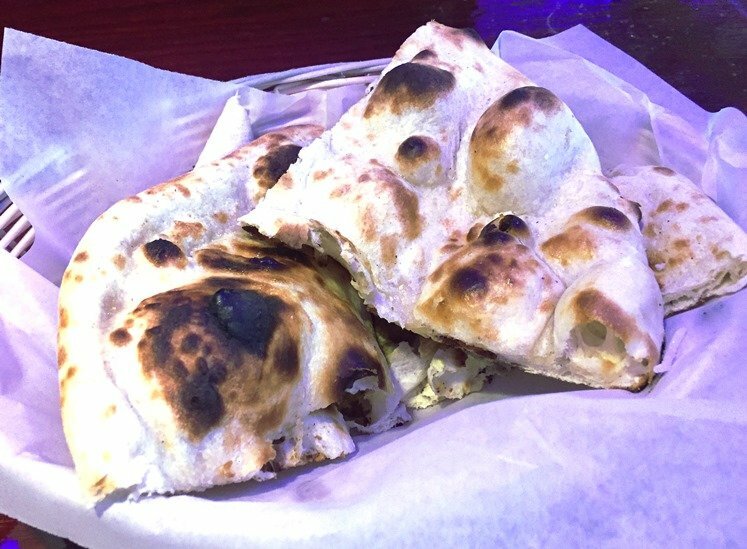 Some of the best naan I’ve had in the area, don’t miss out here. As I’m slowly filling up on all this food, the wait-person brings over a small cup of rice pudding cooked up with little bits of vermicelli, yum! I’ve had this before and it’s a good palate cleanser and finish to a very satisfying meal. 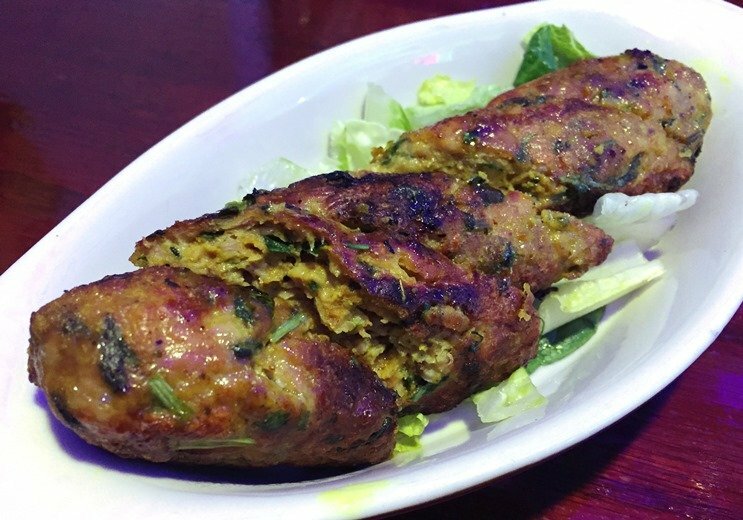 Overall I was really impressed by all phases of dining here at Kababish: food, service and ambiance. From what I understand they also do jazz nights at Kababish Cafe on the weekend so keep an eye out for those events. Thank you so much Kababish Cafe for your home-spun food done with some love. It’s obvious you’ve got a talented chef back there in the kitchen and I’m looking forward to Round 2!